Free … is a very good price for a $475 conference! Something we’re offering only to our ClassJuggler dance studio clients (and their teachers or professional students) is a chance to win a ClassJuggler-sponsored scholarship to the renowned annual Dance Teacher Summit, coming up in early August. The Dance Teacher Summit – an offshoot of the Dance Teacher Magazine – is the place to be if you want to participate in movement sessions, seminars, and workshops led by top master teachers from across the U.S. and see the latest in products and services for dance studios – including yours truly, DanceClassJuggler. But there is that matter of the $475 registration fee … unless you can get it for free. Ready to enter? Click here for more info, the entry form, and to see the rules. Or, learn more about DanceClassjuggler’s online software for dance schools. This entry was posted in About ClassJuggler and tagged Contest, dance studio owners, dance teacher magazine, dance teacher summit, dance teachers on June 20, 2014 by classjuggler. “You can be creative only if you love life enough that you want to enhance its beauty.” A bold opinion. Do you agree with it? Use the comment box below to share your thoughts. 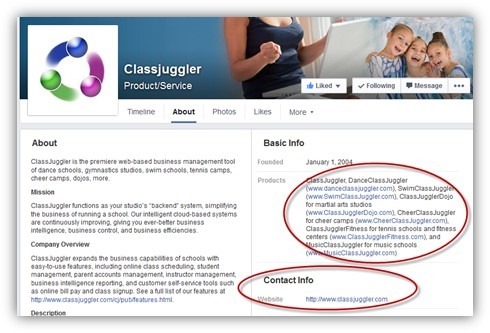 For more information about us, check out our ClassJuggler’s web-based software for schools – it makes the business of running your class-based business easier. This entry was posted in Cheer ClassJuggler, ClassJuggler Dance, ClassJuggler Dojo, ClassJuggler Fitness, ClassJuggler K-12, Motivation, Music ClassJuggler, Swim ClassJuggler on June 19, 2014 by classjuggler. One to share with your dance students! For more information about us, check out our DanceClassJuggler cloud-based software for dance studios, which makes it easier to focus on your students instead of your business. This entry was posted in ClassJuggler Dance, Motivation and tagged dancers, dancing on June 18, 2014 by classjuggler.